On Saturday, October 27th, we went to Girls Generation (also known as Girls Gen), an off-season competition where only girls can drive the robot. The result was a culmination of months of fixing our robot, drive practice, and fixing our robot again. 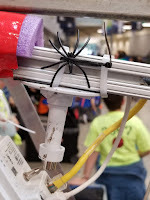 Our robot is now Halloween-themed! 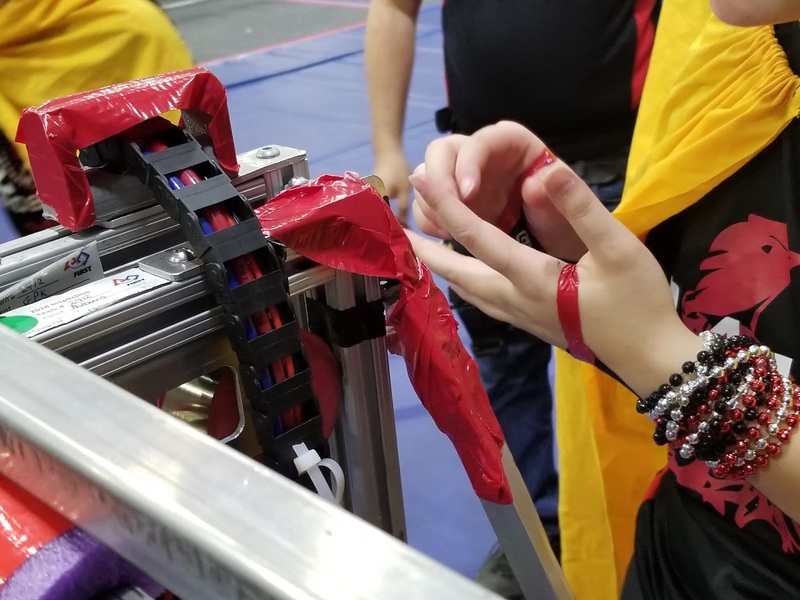 Some of our robot repairs were quite...interesting. While we initially faced robot difficulties in our first few matches, we were able to overcome these issues and put together a strong finish to our qualification matches, ranked 8th out of 37 teams, with 4 wins and 2 losses. During alliance selection, the host team and #4 seed, 2046 (Bear Metal, from Tahoma High School) selected us as well as 2976 (Spartabots). In the semifinals, we played against the #3 seeded alliance and won in two matches, thanks to strong performances from us as well as our alliance partners. From there, we advanced to the finals, where we won again in two matches, becoming winners of the entire event. This was a huge accomplishment for us and our alliance partners, Bear Metal, as neither of us had won Girls Gen before. This is the fourth time in a row we have made it to the elimination matches in Girls Gen. In addition, we have been to the finals three times, always with boy robots (CONDOR, Sir Costalot, and Griffin).